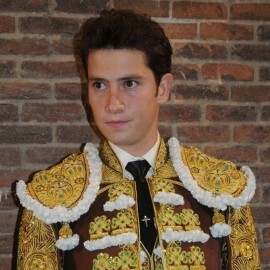 Date of birth: October 3, 1982 in Madrid. 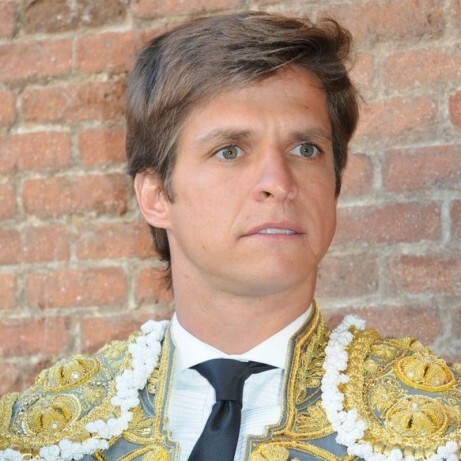 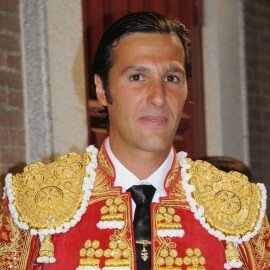 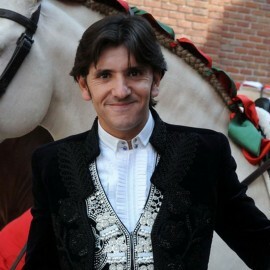 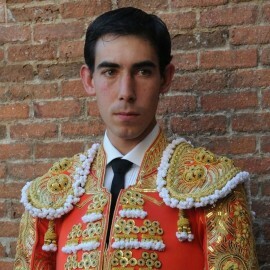 Debut in public: May 20, 1993 in Villamuelas (Toledo), the town of his mother; cutting two ears and the tail to his calf. 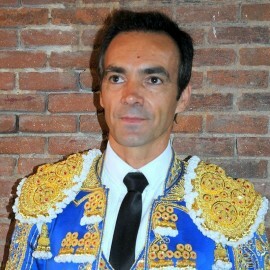 Debut of lights: the 20 of July of 1997 in Mont de Marsan, France. 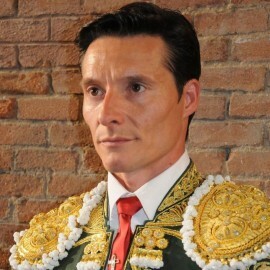 Debut with picadors: March 16, 1997 in Texcoco, Mexico. 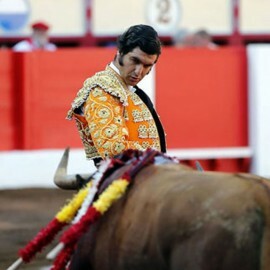 With Humberto Flores and Antonio Urrutia, cuts two ears of his steers from Santa Rosa de Lima. 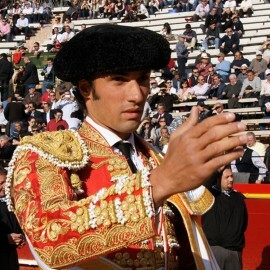 Debut in Las Ventas: September 13, 1998, alone with bulls from different ranches; he came out on shoulders. 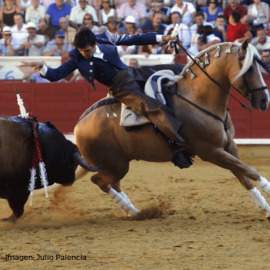 Alternative: September 18, 1998 in Nîmes (France) with José María Manzanares as godfather and Ortega Cano as witness, against Daniel Ruiz bulls. 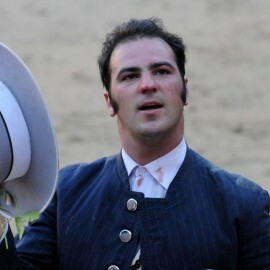 He cut two ears. 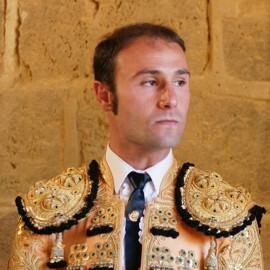 Confirmation: May 23, 2000 with the bull 'Pitanguito' from Samuel Flores, accompanied by Enrique Ponce and Rivera Ordóñez. 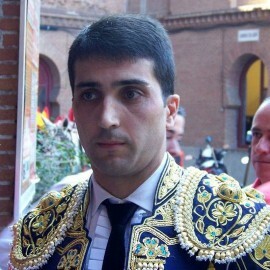 At the rural celebration marking his First Communion, El Juli the child engages a calf for the first time with the cape. 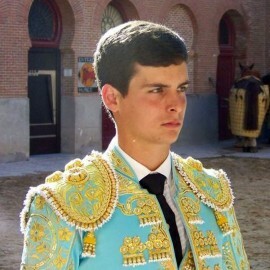 This experience is so exhilarating that he asks his parents to enroll him in the Escuela de Tauromaquia de Madrid (Madrid Bullfighting School). 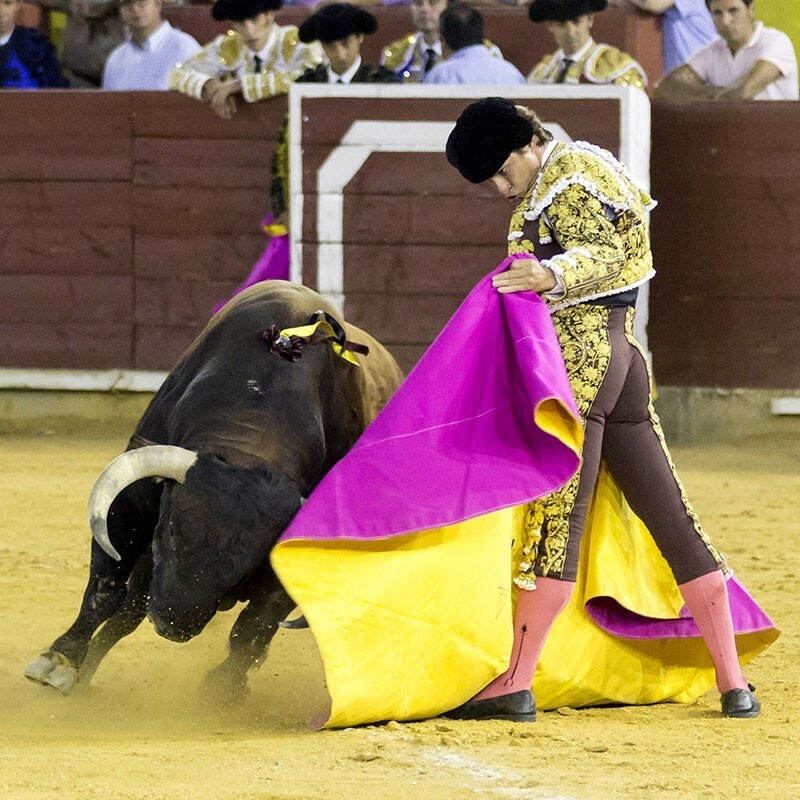 El Juli was shaped as a bullfighter in Mexico, and with nearly 300 festivities involving calves and steers to his credit, he took the alternativa at age fifteen and eleven months. 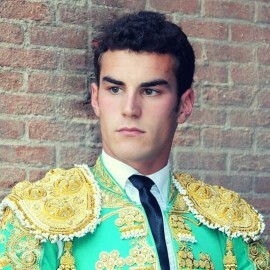 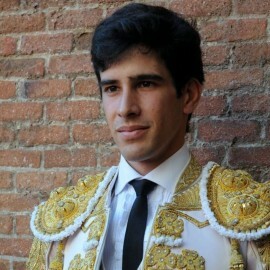 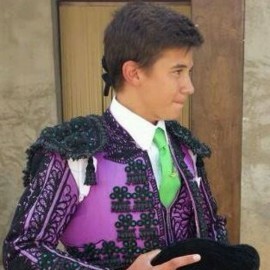 This made ​​him the youngest ever bullfighter in history. 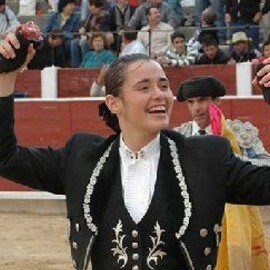 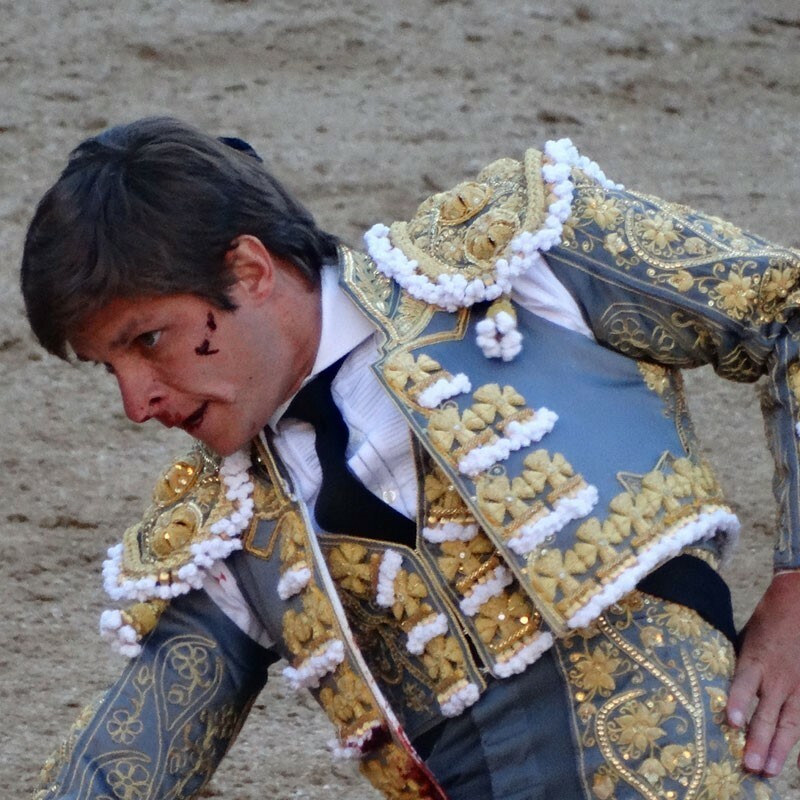 A matador enjoying strong popular appeal, El Juli was the last great discovery of twentieth century bullfighting. 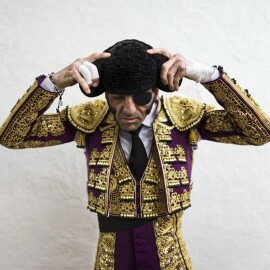 His presence has filled the bullrings thanks to his mastery of every bullfighting pass. 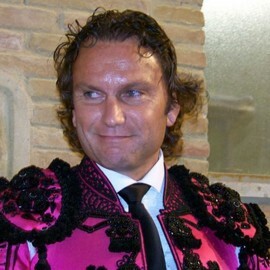 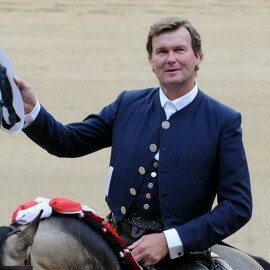 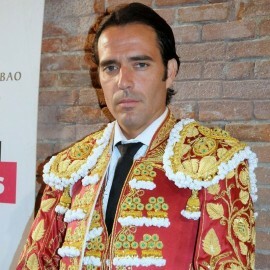 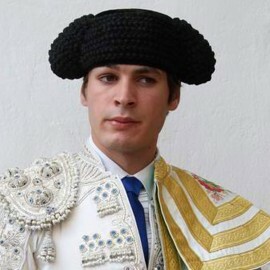 During his first years, he participated in hundreds of bullfighting events, which led him to head the ranks of bullfighters in 1999, 2000 and 2002. 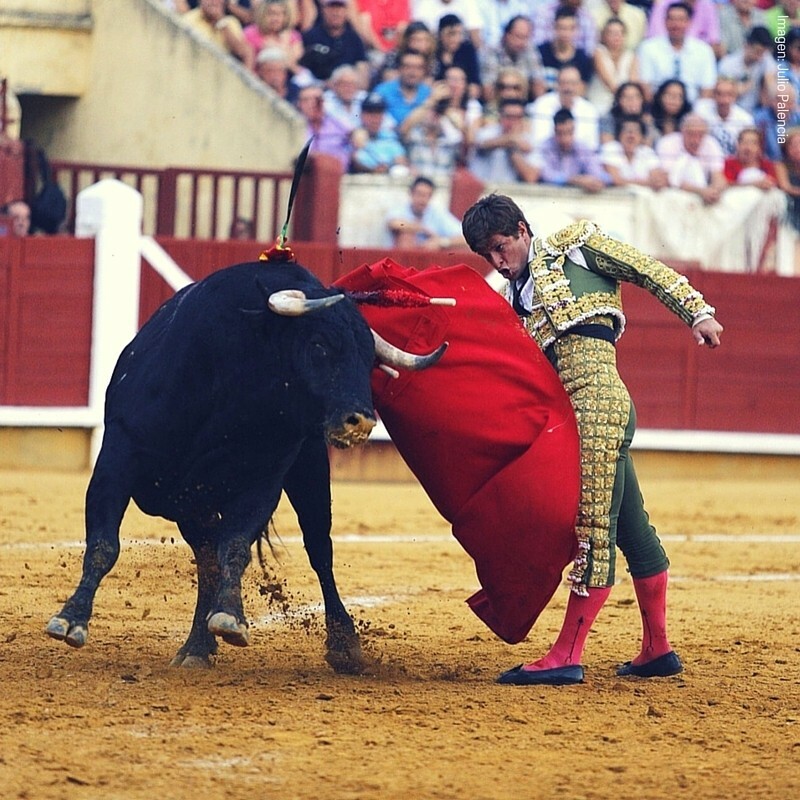 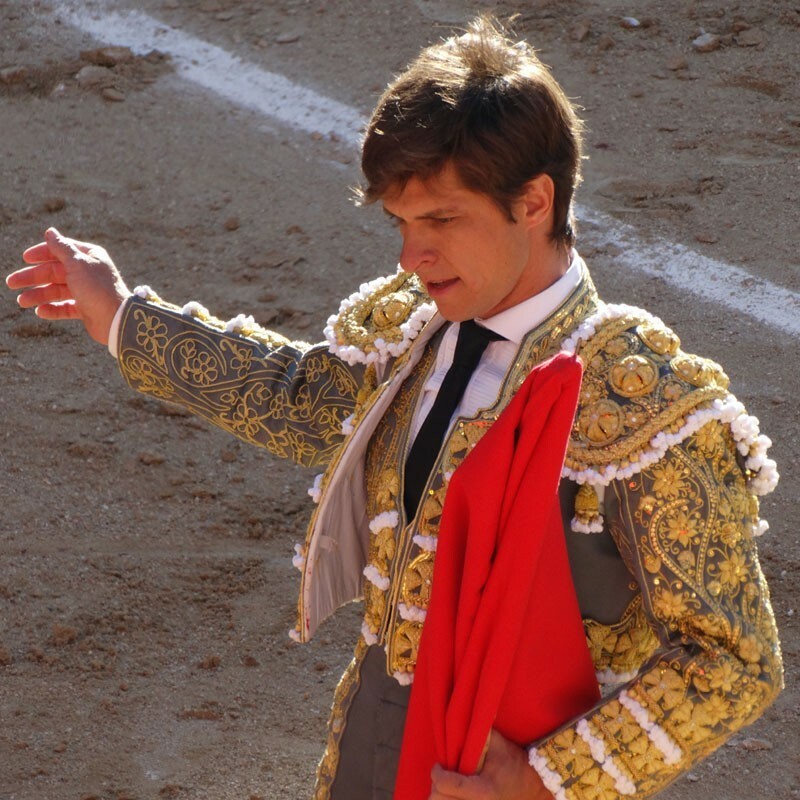 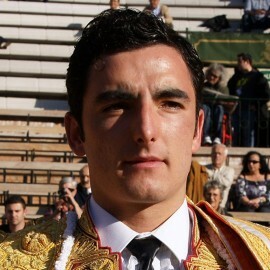 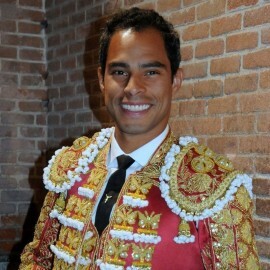 Employing new agents in the last several years, Julian Lopez has made fewer appearances in the ring, but has acquired maturity and depth in his bullfighting. 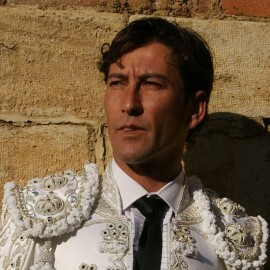 Although it is argued by some fans and critics that the purity of his fighting has clashed with commercial ambitions , El Juli’s outstanding achievements in both Spanish and Latin American bullrings have made him a leading figure in bullfighting. 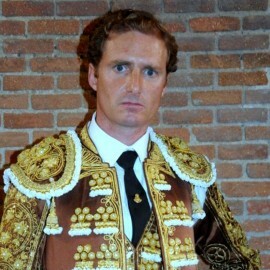 Winner of award Mejor Faena San Isidro Fair 2018.